Liquid Capital Required: Can be met by non-borrowed monetary sources. The UPS Store Celebrates 5,000th Retail Location Milestone! The UPS Store offers a diverse selection of franchise opportunities, all backed by in-depth training, support, and the respected, award-winning The UPS Store brand. In support of those who have served our country, qualified veterans, active military and their spouses save $10,000 off the franchise fee of a new The UPS Store location which includes 50% off the initial application fee. The UPS Store is the world’s largest franchisor of retail shipping, postal, printing, and business service centers and has nearly 40 years of franchise experience. 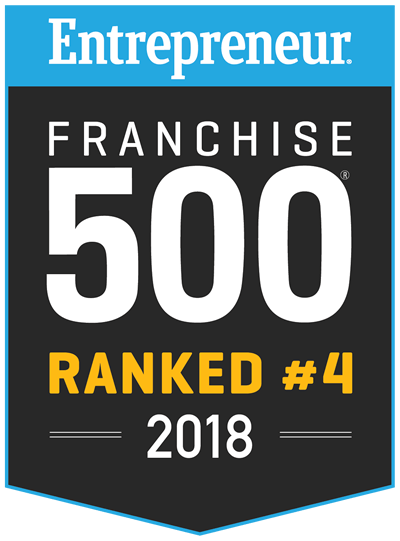 In its annual Franchise 500 listing, Entrepreneur Magazine has ranked The UPS Store #1 in its category (“Postal & Business Services”) for 28 consecutive years. The UPS Store is the go-to small business resource center providing the help and wide array of services that small businesses need. Whether it’s a big city, suburb, or small town, every owner of a The UPS Store has the support of an industry-leading brand and access to its promotional, advertising and other corporate expertise and resources. In addition, The UPS Store’s Main Street Model provides an attractive and affordable franchising opportunity that serves as a low-cost option for business owners seeking opportunities in small and rural communities. *Entrepreneur Magazine's Franchise 500 | 1990-2003 listed under Mail Boxes Etc. The UPS Store, Inc. is a UPS© company. The UPS Store© locations are independently owned and operated by franchisees of The UPS Store., Inc. in the USA and by its master licensee and its franchisees in Canada. The UPS Store Inc. is currently accepting inquiries from the following states: Wyoming, West Virginia, Wisconsin, Washington, Vermont, Virginia, Utah, Texas, Tennessee, South Dakota, South Carolina, Rhode Island, Pennsylvania, Oregon, Oklahoma, Ohio, New York, Nevada, New Mexico, New Jersey, New Hampshire, Nebraska, North Dakota, North Carolina, Montana, Mississippi, Missouri, Minnesota, Michigan, Maine, Maryland, Massachusetts, Louisiana, Kentucky, Kansas, Indiana, Illinois, Idaho, Iowa, Hawaii, Georgia, Florida, Delaware, Washington, D.C., Connecticut, Colorado, California, Arizona, Arkansas, Alabama, Alaska.